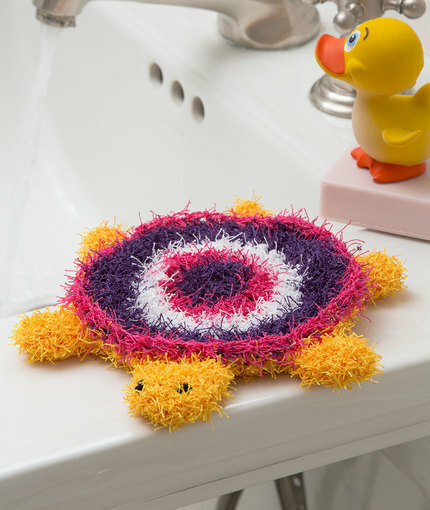 Crochet this uniquely textured washcloth that kids will love using in the bathtub. It’s also great for scrubbing pots in the kitchen. Scrubby measures 6¼” (16 cm) diameter across shell. 1.Shell pieces are made in joined rounds with right side facing. All other pieces are made in continuous rounds (spirals). 2.To change color, work last stitch of old color to last yarn over. 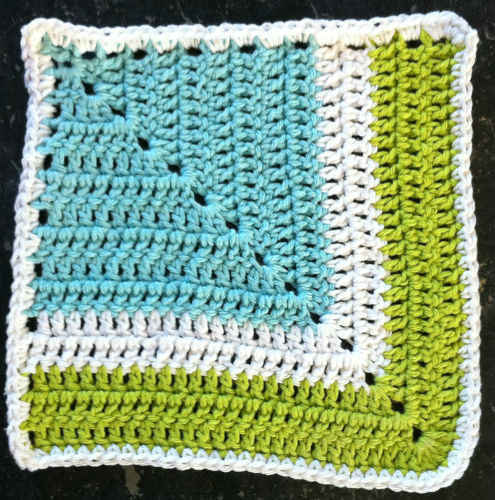 Yarn over with new color and draw through all loops on hook to complete stitch. 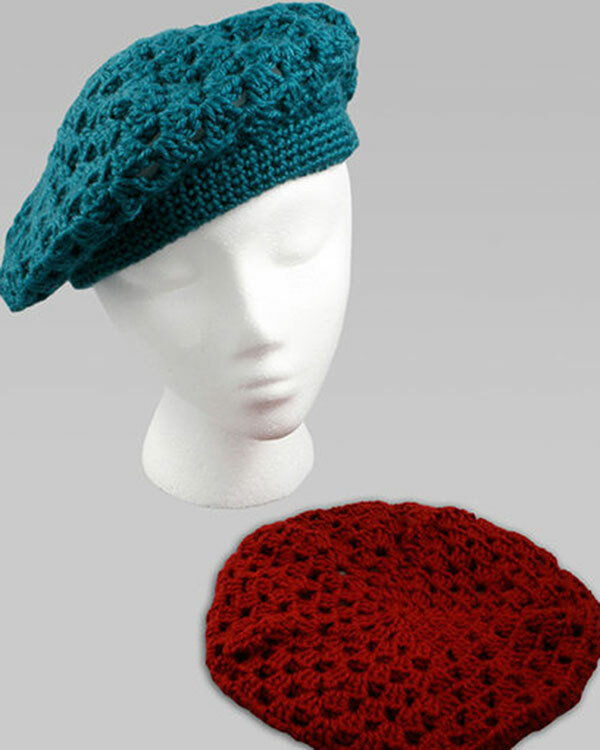 Proceed with new color. Cut old color. in top of beginning ch—24 dc. Round 3: Ch 3, 2 dc in next dc, *dc in next dc, 2 dc in next dc; repeat from * around; change to A ; join with slip st in top of beginning ch—36 dc. Round 5: Ch 2 (counts as first hdc here and throughout), hdc in dc around. Fasten off. With D, work Rounds 1–5 same as top of shell, do not change colors. Round 1: With wrong sides of shells held together and working through both thicknesses, join B with sc in any hdc, sc in next 35 sts; working through top of shell only, sc in remaining 12 sts; join with slip st in first sc. Fasten off. For head, legs, and tail, place marker for beginning of round at end of Round 1 and move marker up as each round is completed. Round 1: Work 6 sc in 2nd ch from hook, do not join—6 sc. Rounds 3–7: Sc in each sc around; join with slip st in first sc at end of Round 7. Fasten off, leaving a long tail for sewing. Round 2: *Sc in next sc, 2 sc in next sc; repeat from * twice—9 sc. Rounds 3–5: Sc in each sc around; join with slip st in first sc at end of Round 5. Fasten off, leaving a long tail for sewing. Rounds 2–4: Sc in each sc around; join with slip st in first sc at end of Round 4. Fasten off, leaving a long tail for sewing. Use photograph as a guide for placement of all pieces. embroider 2 French knots for eyes. Sew legs evenly spaced apart on underside of shell. Center and sew tail at opening for hand on wrong side of top shell.